Hi guys! First off, THANK YOU for sticking with me! This past year has been really tough, as you know, but this week was a really good one for the future of the game and Stage 2 Studios. Some of the very hard marketing work we've been doing paid off and we'll now be able claw back out of the hole were were in from slowing work. Long way to go, but we're securing some contracts that will fund us through next year! 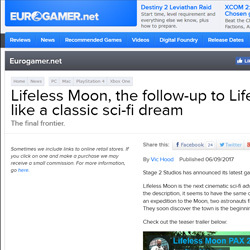 Introducing a behind-the-scenes look at game development on Lifeless Moon. For this first video, I talk about how we create terrains including sculpting the elevation, texturing, and adding details like rocks, trees and grass. It's rough and a bit rambling, but I've got the tools in place now to do more content in the future. Let me know what you think in the comments and thanks for watching! You should be able to click the image for a higher-resolution view. It's really coming along nicely! 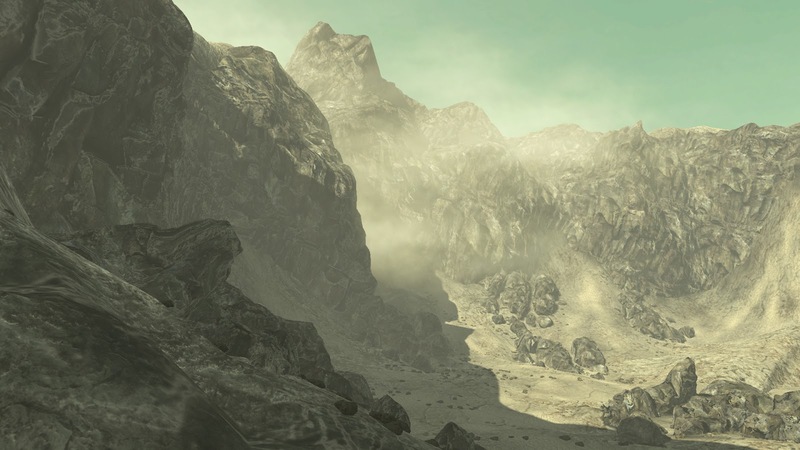 Dramatically desolate environments can still be interesting. We're trying to achieve a lot of detail on a budget. Been learning tons about how to balance high detail models with performance. Finally got a handle on some concepts/techniques that I've been meaning to put to use for a while now. 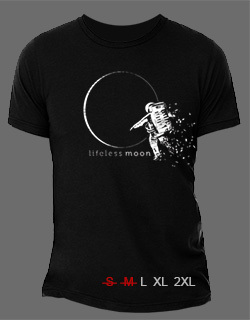 This will definitely improve the look of Lifeless Moon over Lifeless Planet. About a week ago we finished up a preview demo build to submit for PAX West. We've been working on this for a couple months, but things turned serious a couple weeks ago. I worked through two weekends and clicked "submit" with literally 10 seconds to spare on the deadline. I've never in my life come up against a deadline so close. Utterly exhausting but also grateful to have it behind us and moving on to next steps. Promising myself we'll not ever do that again! What you can't see from screens is the groovy audio work. Rich composed some great music for this sequence and put it together in a way that we can seamlessly transition from one track to another. This way we can enhance the mood and match up the music tempo and character with what is going on in the moment. In addition, we commissioned our first voice acting sessions and holy crap this is some good stuff. I think voice acting really adds to the immersion. 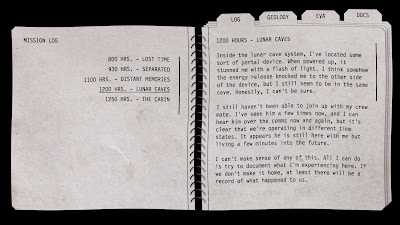 As with Lifeless Planet, most of the audio plays while you are exploring--something I think more games should do vs long game-breaking cut scenes. For me, there's something about exploring while you hear creepy/interesting dialogue that really connects me to the game story and adds depth to the experience. I heard a sales coach say whenever a customer asks how you're doing, always say "unbelievable!" That word works good if things are going great, but you can also say it without lying when things are terrible. Well, I've been doing a bit "unbelievable" lately... As mentioned, the last few weeks have meant working almost every day, and on top of that, client work has been strong but income has really slowed. Always a bit demoralizing to work hard but find you're scraping just to pay the bills. And then to top it off, I've been a bit ill. For months. I always hesitate to share negative stuff. Partly because that's easy to do and usually doesn't help the giver or receiver. 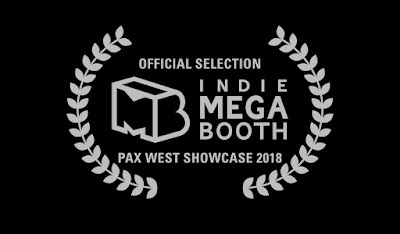 On the other hand, I think you guys signed up to hear what it's like to develop an indie game and I don't think I've ever heard an indie dev story that was rainbows and unicorns. It's hard stuff. Epic, sometimes. And in the end it pays off, if not always in sales, at least in the satisfaction of seeing what your blood, sweat and tears produced. I suppose it's a good time to talk about where things stand. The reality is that we're quite a bit behind schedule. The game has grown in scope a bit (always does), bill-paying client work has consumed more time than expected (always does), and I'm not getting any younger (never do). 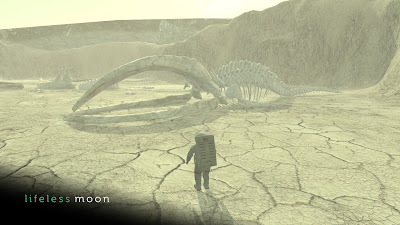 I was AMAZED last month working on the demo build as I recalled just how much work went into Lifeless Planet. I've got a small team helping now (doing a lot, too) and it's still surprising just how much time this stuff takes. 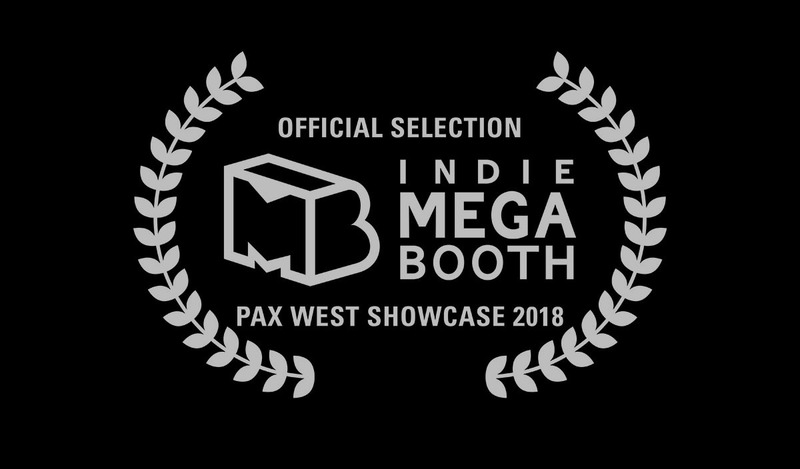 So anyway, our goal now is to build out the demo--playable in VR--for PAX West. And we may actually release it shortly after--to you guys at least, and maybe as some kind of early access or standalone experience. After that, we hope to wrap the first half of the game by the end of the year--maybe sooner, but realistically probably not. Whenever its done, we hope to release that portion of the game. Other games have done this too, to mixed success, but I think its a good way to get content in the hands of your audience sooner than later. Here again, we'll get this content to our beta tester backers at least, if not a full public early access - type release. 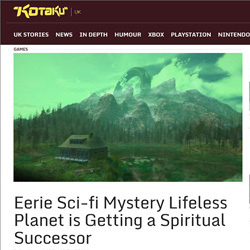 And then the good news is "Chapter 2" (the second half of the game) should be a bit easier to complete. Systems and structures will all be in place by then and the content is a bit front-loaded anyway. 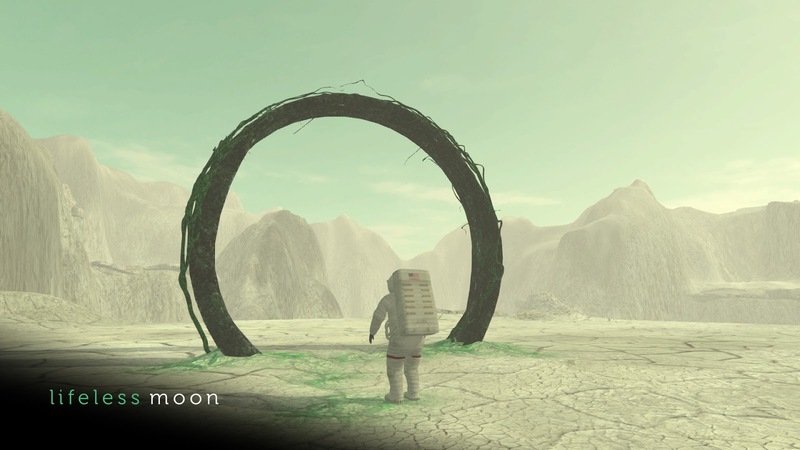 Our goal is a full final release now by next spring. There's some more surprises and cool game design issues to share that relates to all this, but I'll just tease you and share those at a later date. Once again, I try not to sound whiny here, and really things are plugging along pretty well, despite the headwinds of life and work. Every time I push a little too hard life has a way of reminding you to chill, and so I step back and work a little harder at the art and science of chillage. What's more, recent comments by you, my awesomely super cool backers, reminded me of one thing that's going right: the continuing support and encouragement that I get from this community. I can't thank you guys enough for the frequent kind words and, frankly, inspiring comments. We may be sitting at the keyboards plugging away, but as I've said before, you are the fuel to keep going. Thank you and thank you again! Happy April! 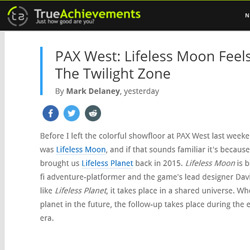 This month is particularly (and I mean insanely, outrageously, horribly) busy for us as multiple client projects come due and we also are working on a preview build of Lifeless Moon to submit for PAX West in August. The dust will clear a little in May, but until then we're just trying to stay sane. 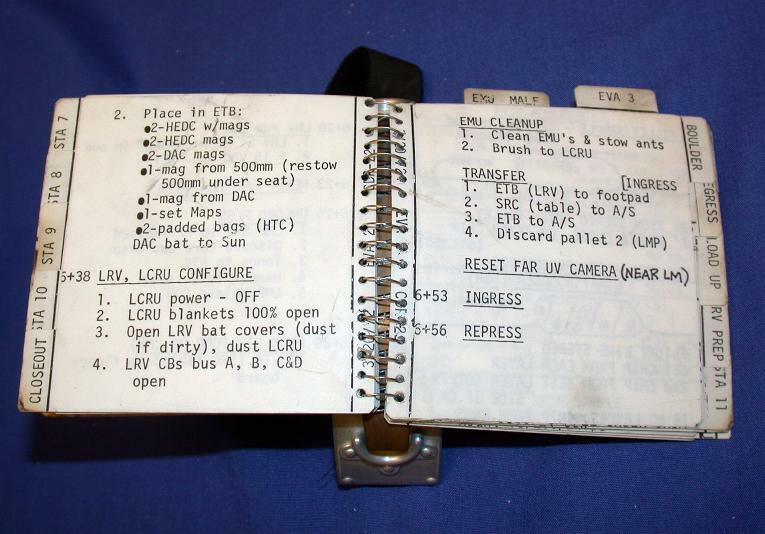 Here's a quick look at the astronaut notebook we're building for Lifeless Moon. 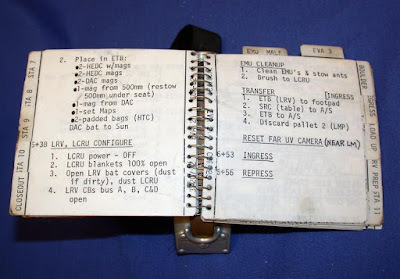 This notebook will contain log entries, documents, mission objectives, and scientific notes based on your discoveries. We've also been working on a new jetpack mechanic. 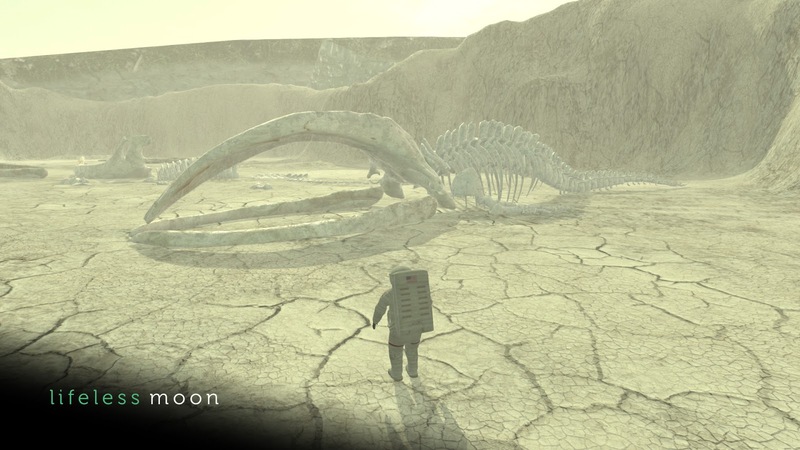 Lifeless Planet's jetpack was...unique, and we were never 100% happy with it. In Lifeless Moon, the jetpack you'll find has a more traditional "jetpack" feel. 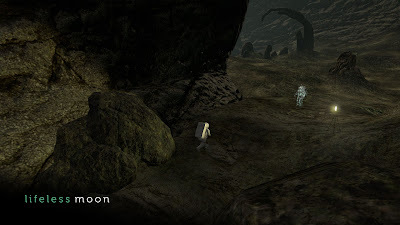 It also allows more control in platforming without providing access to the entire gameplay area. 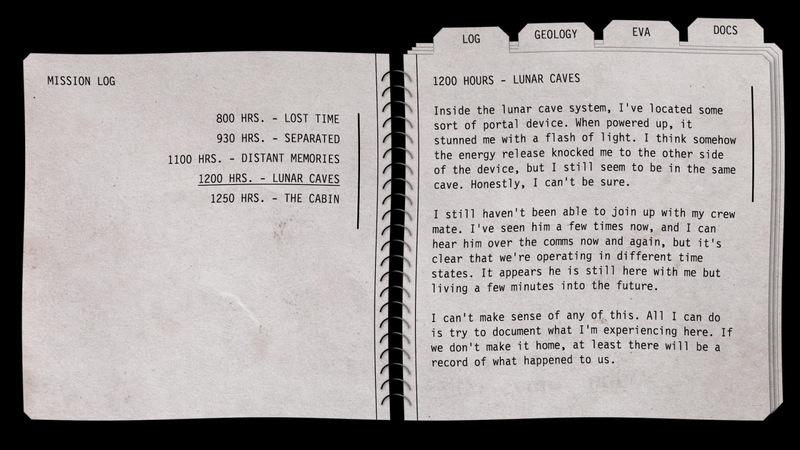 That last point is important because we feel like something is lost in regards to story if you can simply jetpack up and over any obstacle. 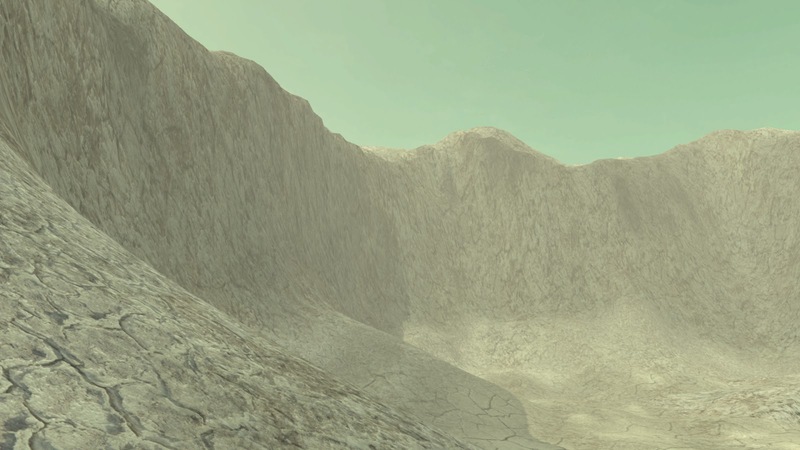 In Lifeless Planet we addressed this by only enabling "boost" from fuel canisters in certain areas. 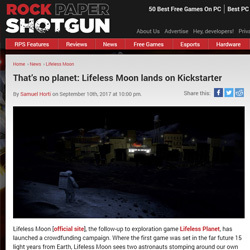 This felt a bit forced at times, so we're hopeful the revised jetpack for Lifeless Moon will be a big improvement all around. Short update this time, but have to get back to work. Next month we'll have more progress to show with some new screens! Our beta tester backers have been reviewing the first preview build the last couple of weeks here. If you're a beta tester and haven't reviewed the build, do it soon! We'll end access to the preview Friday next week. Thank you to everyone who's provided feedback. It's truly very helpful! 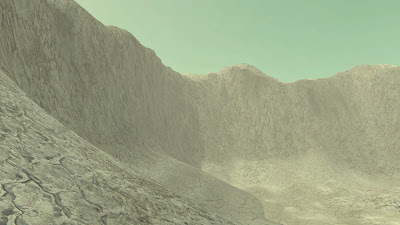 We here at Stage 2 central are turning now to building out the environments and puzzles for the rest of the game. 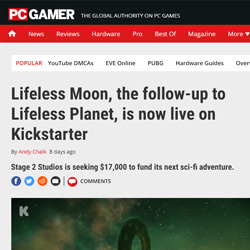 We're focusing on the first half of the game and we may make that available sooner than later (but still for one price for everybody--none of that episodic, DLC nonsense). As usual, these things take longer to develop than we hope, so if we can get it to you sooner this way, we will...more on that later. And that's it for now. I'm SUPER excited about what we're going to be working on in March... Much of the work up to now wasn't very visual so it was harder to show WIP. That will change going forward, so look for more updates soon.